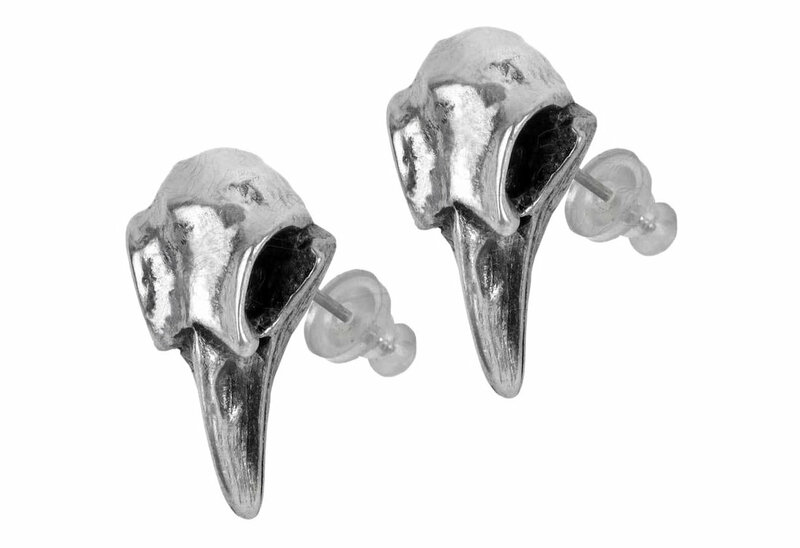 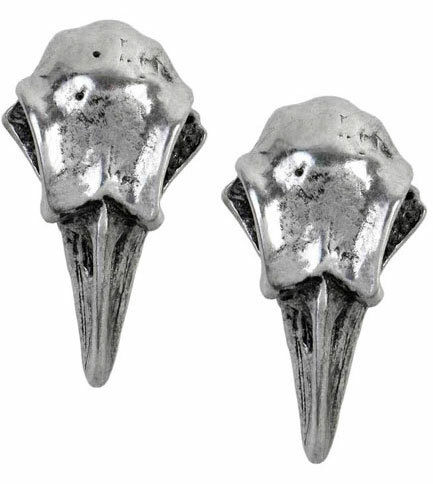 Raven skull earrings made of fine English pewter with steel posts. 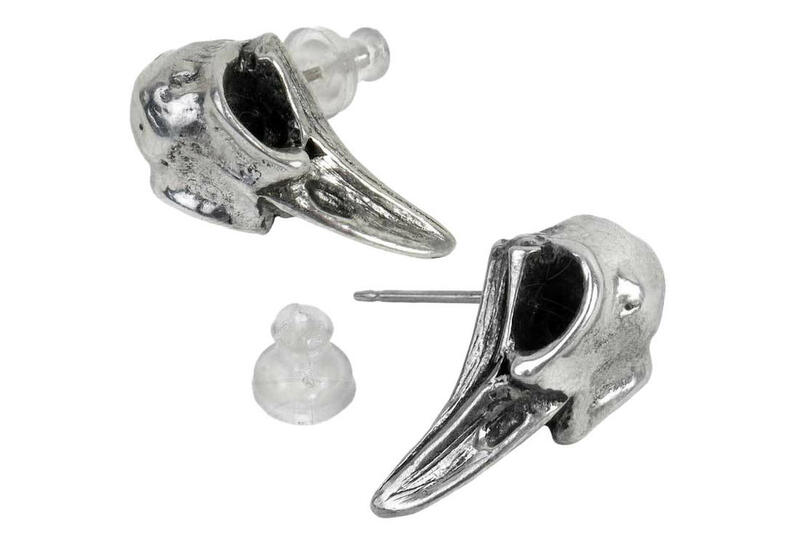 Representing Odin's messengers capable of foretelling death. 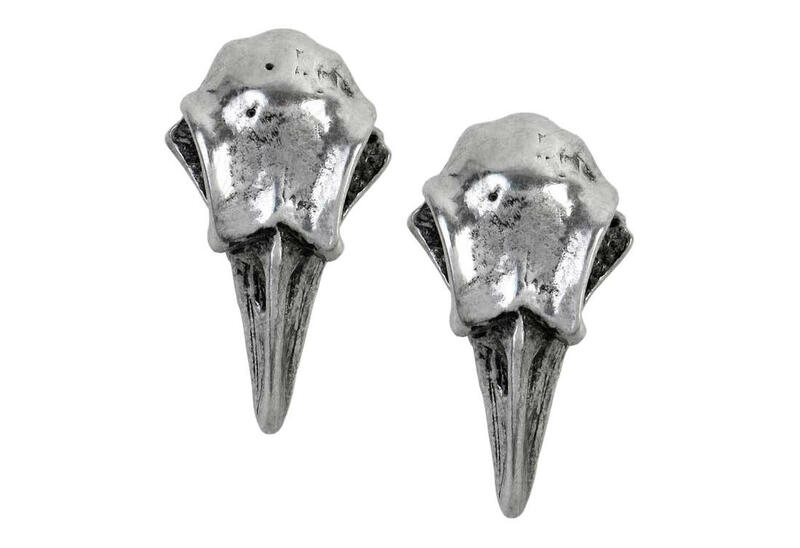 Measures approximately 0.85 inches wide, 0.47 inches high and 0.31 inches deep.